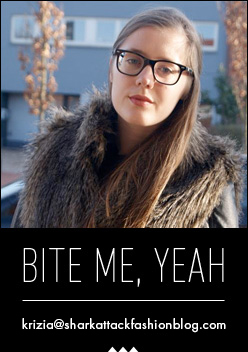 Some of you might be tired of the MAC overdose on the blog, but I just can't help it. With every collaboration launched, they nail it once again. 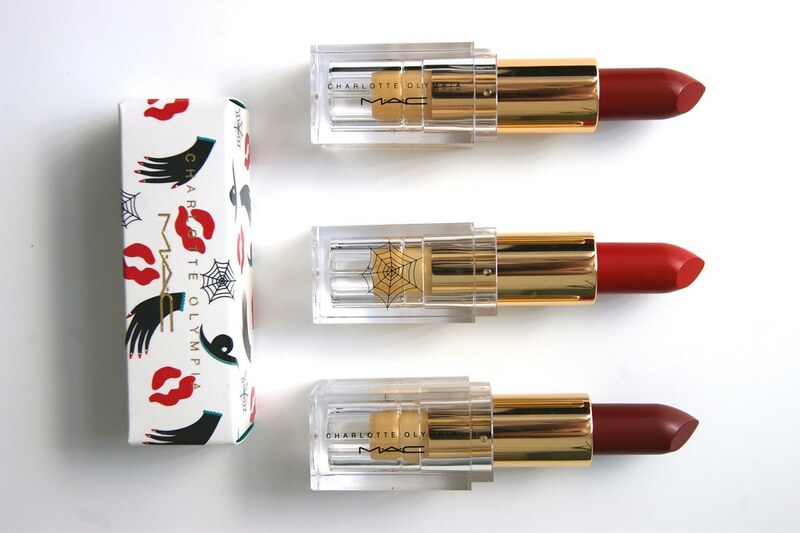 When I heard that designer Charlotte Olympia was up next to create a MAC make up collection, I knew it would be good. Trying to prevent myself from going bankrupt, I only purchased the lipsticks (even though her collection contains make up brushes, eyeliners, mascaras, nail polishes and much more); they are red and matte, what more do I need? It's time to meet Leading Lady Red (top), Starlett Scarlet (middle) and Retro Rouge (bottom). 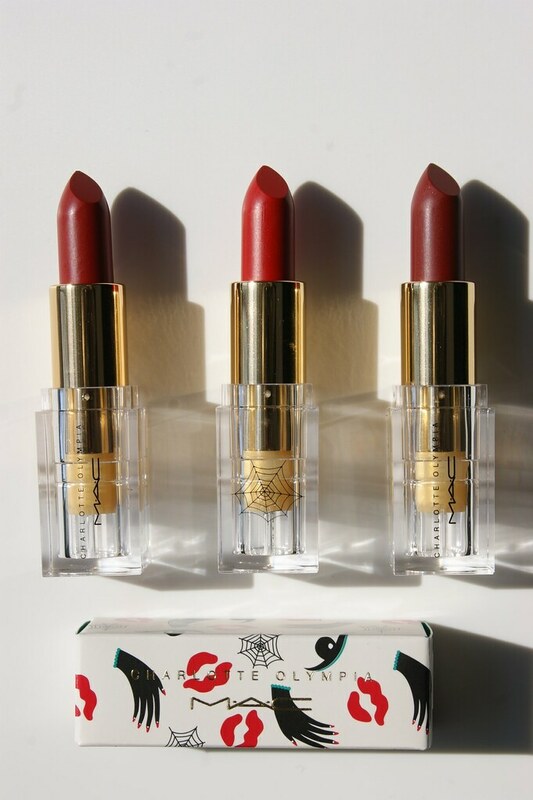 The MAC x Charlotte Olympia collection is still available online in some regions, so hurry if you want to get your hands on some goodies as well! The outer box is super cute, with tiny drawings all over it. 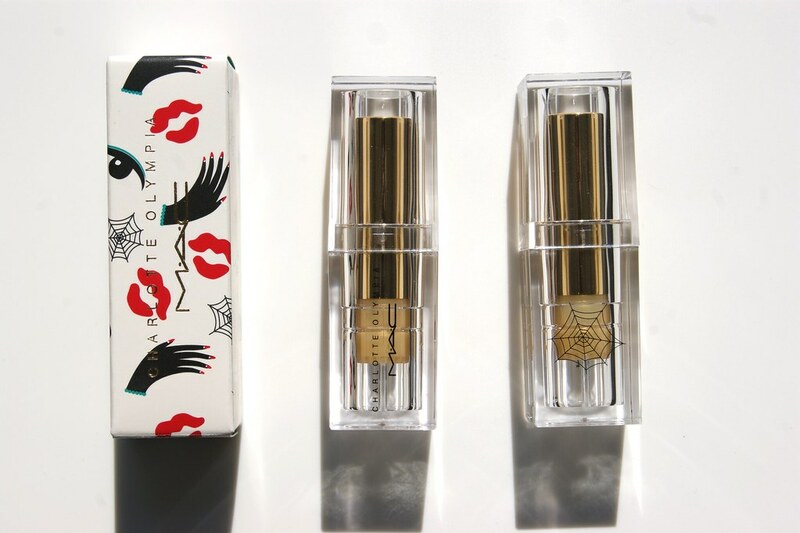 The lipsticks come in a packaging that is completely different than MAC's signature black, round tube. These are square and see through, with a golden tube for a little glamorous touch. The packaging makes it perfect to find the shade your looking for in just a couple of seconds. It also features Charlotte Olympia's signature spider web. 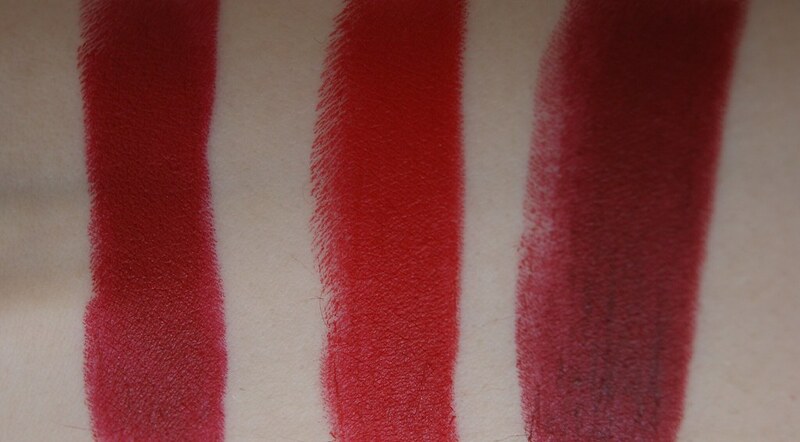 The lipsticks' quality is how I expected MAC's lipsticks to be: perfect. They have awesome pigmentation and coverage. However, they are not as matte as I expected them to be; I would describe them as semi-matte. 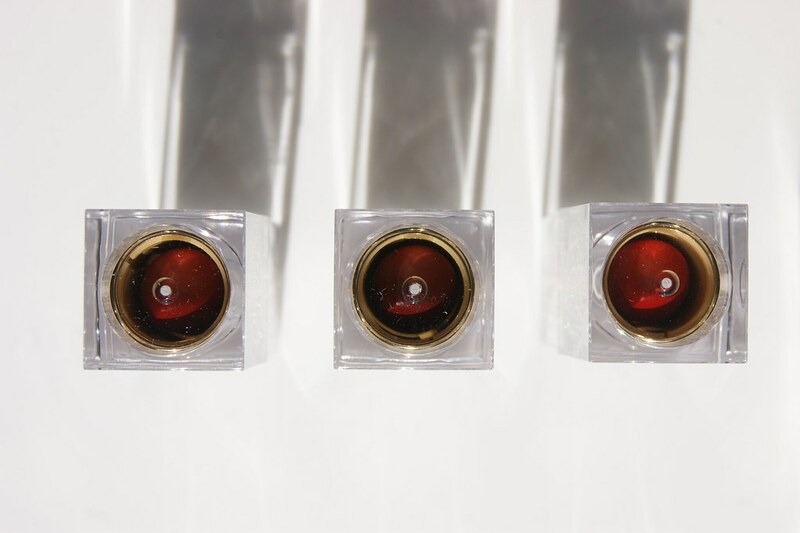 When exposed to sunlight, the lipsticks have a shimmery touch. The lipsticks stay in place for a couple of hours straight and will also survive a bite to eat or a drink. 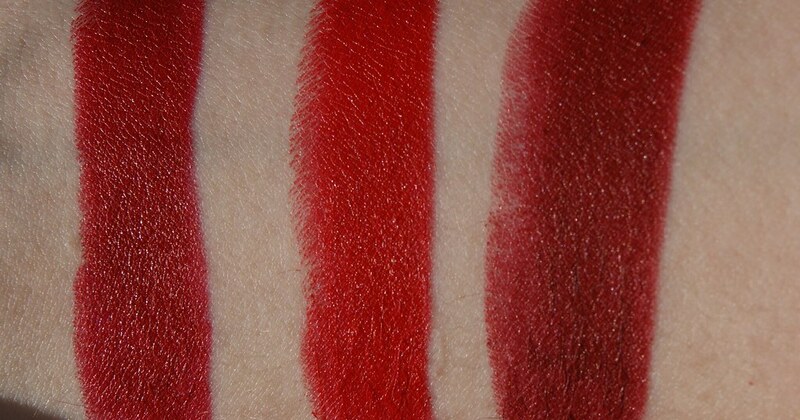 Retro Rouge is a brown / red, burgundy kinda color with warm undertones. Personally, I would rather wear this color during fall and winter. I paired it with MAC's Burgundy lip pencil to outline my lips and to do some touch ups. 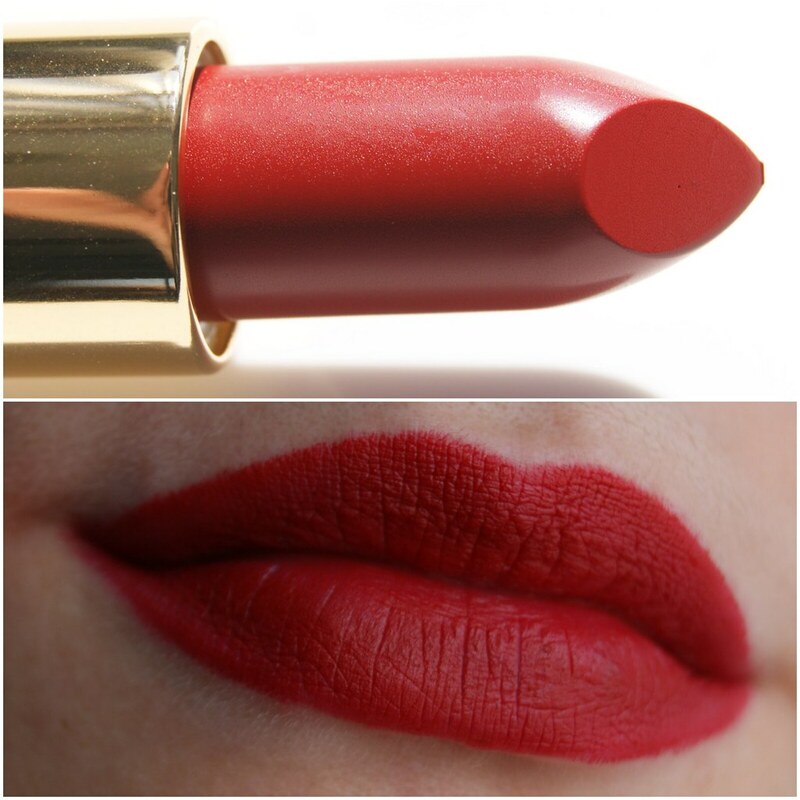 Starlett Scarlet is a classic, true red with an orange touch and with warm undertones. 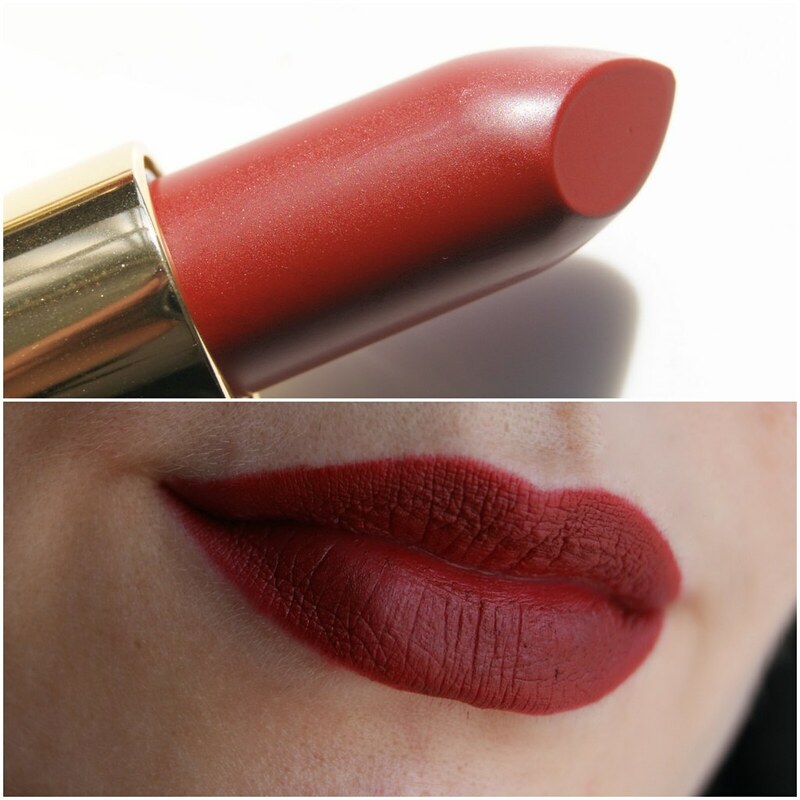 I usually wear darker red lipsticks with a cool undertone, but I must say that I really fancy this color. I combined it with MAC's Redd lip pencil to outline my lips and to do some touch ups. It was hard to capture Leading Lady Red on camera, since it seems to resemble Starlett Scarlet so much. 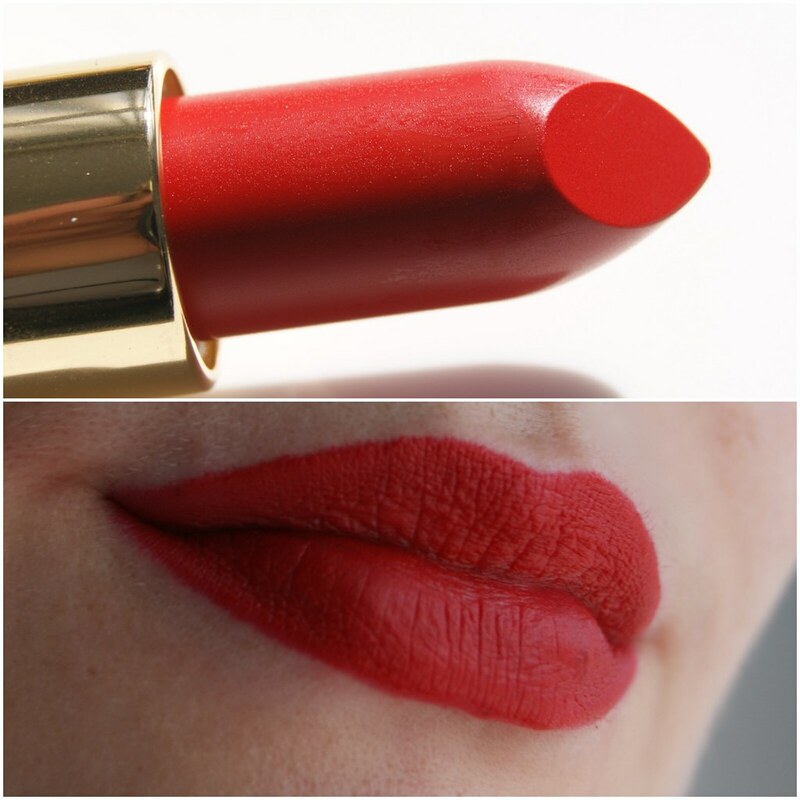 As where Starlett Scarlet has an orange tone to it, Leading Lady Red is more of a deep red with a pinkish, cool undertone. This is one of those classics that you can't go wrong with and I think it's my favorite from this collection. I combined it with MAC's Ruby Woo lip pencil to outline my lips and to do some touch ups. Wow wat heb je mooie foto's gemaakt! Echt prachtig intens rode kleuren zeg. Onder de indruk! Dank je wel voor je lieve comment! The packaging is awesome indeed! Ooh, dank je wel, lieve Karlien! I love these matte lipsticks!!! The shades are really classy!